We’ve all heard stories of battles that soldiers have fought on the front lines. But what about the battles they face when they return home? 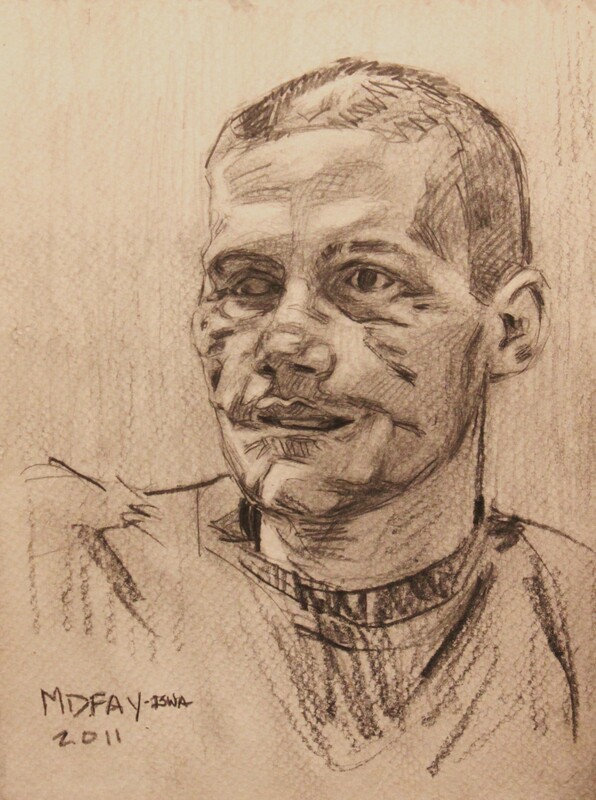 A new exhibit which goes on display at Drexel University on Oct. 29 features 40 portraits of wounded Iraq and Afghanistan War veterans in recovery. 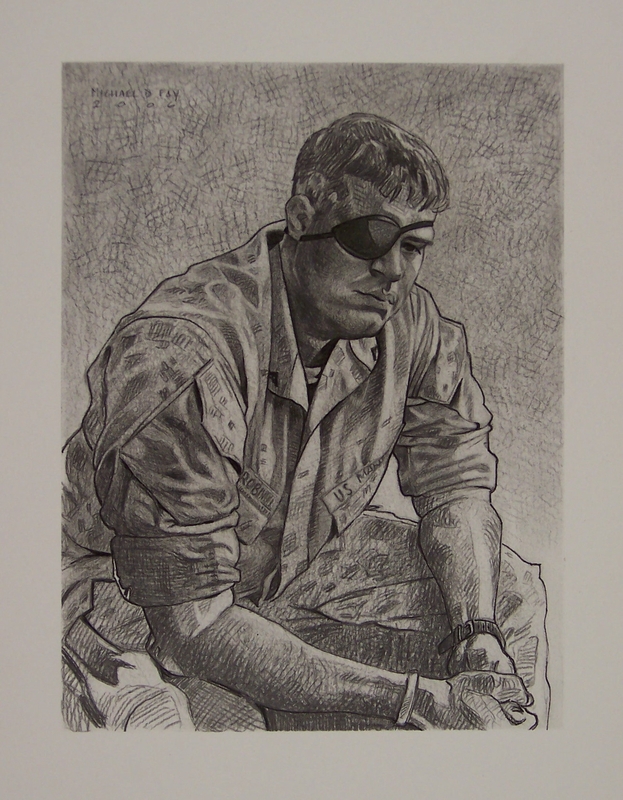 The powerful collection of drawings and paintings is part of The Joe Bonham Project, which was founded in 2010 by former U.S. Marine and combat artist Michael D. Fay to document the experiences of wounded service members. The Project, which has been featured in The New York Times, is named for Joe Bonham, the protagonist of Johnny Got His Gun, Dalton Trumbo’s 1939 antiwar novel, who loses his limbs and face in an explosion during World War I.
Fay will join Drexel for the exhibit opening on Oct. 29 and a discussion about combat art along with Victor Juhasz, a celebrated civilian illustrator, whose work has appeared in major outlets, ranging from The New York Times to Rolling Stone. 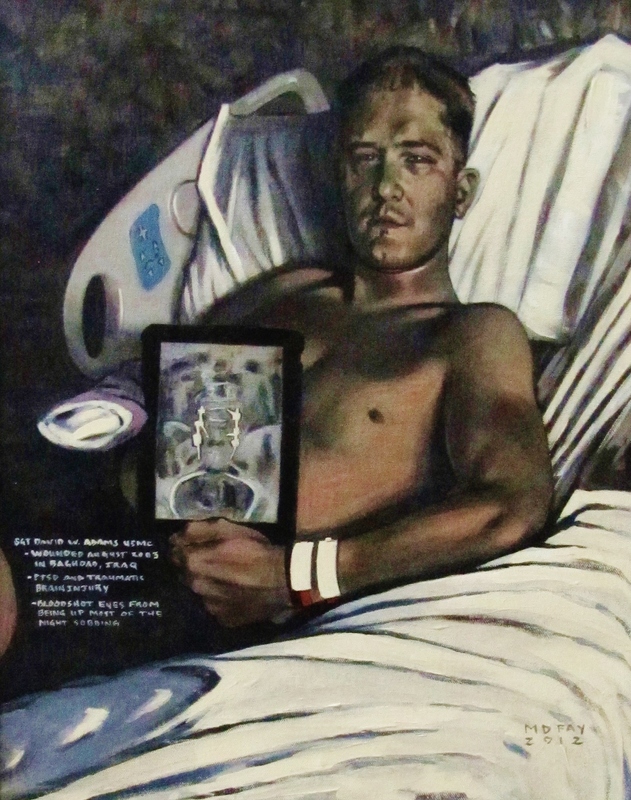 The opening discussion and reception are free and open to the public and will be held at 6:30 p.m. on Tuesday, Oct. 29 in Geary Auditorium A at the New College Building at Drexel’s College of Medicine (intersection of 15th & Vine Streets). 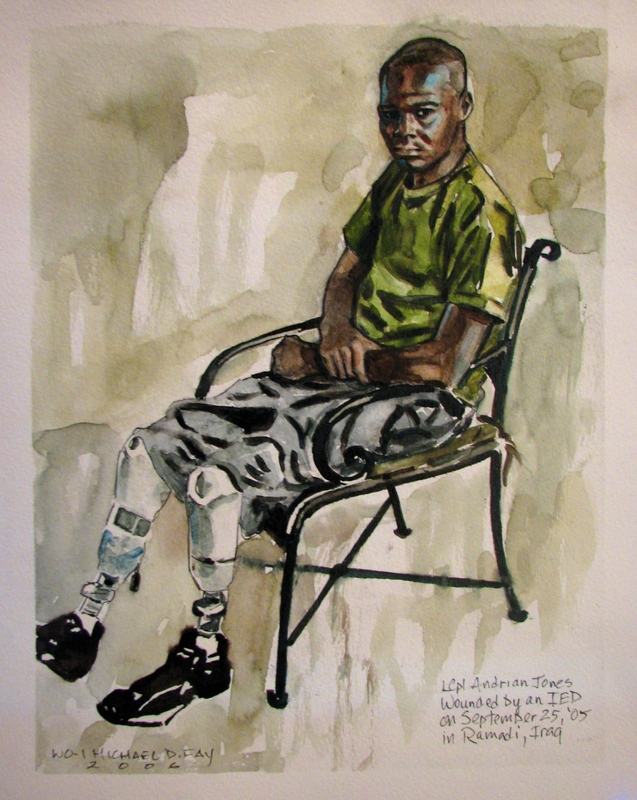 The exhibit will be in the Hahnemann Library at that location through Veterans Day, Nov. 11. For Library hours, click here. But why portraits and not just photos? The course is made up primarily of guest speaker events which are all free and open to the public. There are 30 students in the class, but attendance has doubled that for each class. A full list of guest speakers and details on the course are available here. So far, the results of the course have been positive. Students will create a final project – whether a short film, photo essay, website or even a fully researched paper – that tackles one of the issues that they have found compelling in the class. The projects should reflect the students’ abilities to synthesize what they absorbed from the speakers, the readings and screenings and apply that to images of war. Curry believes that this close examination of the ways war is portrayed is essential.